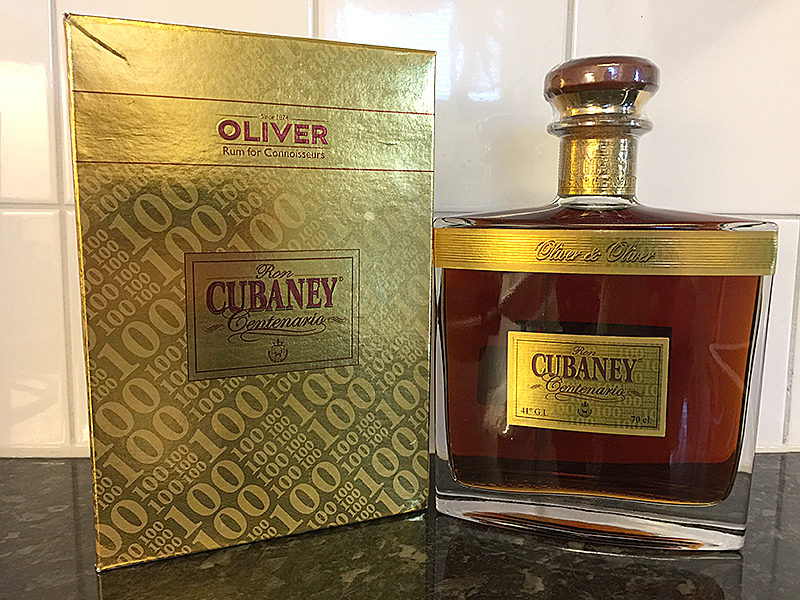 Have you found an online vendor selling Cubaney Centenario 25-30 Year? po chvíli odpočinku se tato dobrota přesune od alkoholové chutě k příjemnému prožitku. není tolik sladký, ale je jemný a příjemně dřevitý. pravý rum. A very nice looking bottle that comes in a cheap paper box (picture). I really think that this luxury rum deserves a better package. In this pricerange you can expect more. In the glass you first smell some alcohol but after a while you get sweet aromas from toffee, vanilla and almonds. You also sense som oak and maybe a hint of whisky. I really recommend that you let this rum rest in the glass for atleast 10 minutes. In the mouth you get a lot of spice. You also get sweet flavours of caramel, vanilla and fruits. In the throat you get some spice and sweet flavours. This rum is very smooth with a very long spicy aftertaste. This is one of the rums that can make any "rumhater" to change their minds. With its 25-30 year blend this rum deserves a lot of respect when you drink it. Cheers to Oliver & Oliver and thank you for a great experience. Vynikající rum, sušší, dřevitý, jemný, vyvážený, spíše pro zkušenější milovníky rumu. Nádherná ovocná až povidlová vůně. Luxusní balení. Rum pro výjimečné příležitosti. Ive tried this one just after getting a bottle of Millonario XO and I must admit this one is slightly better. It has not so strong nose (Millonario XO is maybe just too much on nose), but the taste.....that is really it! There is not alcohol body, only tones of vanilla, oak,caramel....yummy! It has one of the best tails: long, complex and slowly releasing. Bottle is a copy of Millonario XO (or vice versa), anyway a masterpiece. I'm surprised. I've not generally been a fan of rums from the D.R., but this one has my attention. It's delicate - nothing overpowers. As a result, it's a touch light compared to other rums of this age group. Only 42% ABV, so that could account for it based on what my palette is used to. Nose is caramel, coffee, vanilla. It's a touch sweet, making me wonder about added sugar. A touch of all the things in the nose, plus something a little fruity. Overall, a lovely sipper. This rum taste great, no doubt about it .A wonderful nose, Sweet and spicy, yet complex taste. A very long and wonderful aftertaste. It is indeed a luxury rum. The thing is though, you can find rum that are as good as this, but considerably cheaper. And thats why this rum doesn't get a 10 from me. Centenario je pro mne velmi skvělý rum od Olivera&Olivera z Dominikány. Neřeším příběh a původní suroviny,ale pouze chuť. Je to hvězda večírků a mám ho opravdu rád. Lehká nasládlost a jemnost mi prostě imponuje. One of my best Rums! Not too Sweet, very well balanced! Waoh en rom, fantastisk kraftfuld duft og vidunderlig smag med et ordentlig spark når man først smager på den, dejlig blød og lang holdbar eftersmag. Ny farvorit herfra, kan varmt anbefales. En anelse bedre end QRM 30 års (som flere andre også mener), mere kompleks i smagen og holder længere. Smagte den hos en kammerat som havde fundet den til 700 kr i Billund lufthavn, noget mere overkommeligt end de ca 1.100 som den koster flere andre steder. A real top product from Oliver. Very mild & sweet and still a lot of woodnotes from the barrel. Wow! The best I have ever had. Dark color, smooth, not so sweet. 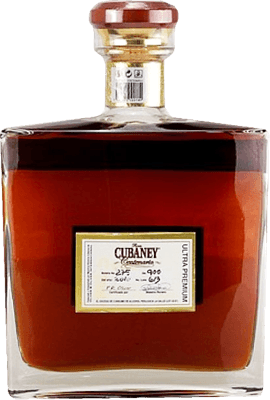 This top rum from Cubaney has a lot more to offer than the 25 YO. It has a good balance between, power, sweetness and spices, and you can't sense the alchohol in it. Nose : I find toffee, brown sugar, vanilla, spices, oak and a soft power. Taste : I find vanilla, spices, power and oak. The aftertaste is deep sweetness with a little dark chocolate and a good power! Ein klasse Süssrum mit einem angemessenem Preis, Die Süsse ist da aber nicht zu extrem,sehr schöne Würze,leichte Holznoten,auf keinen Fall störend und Alles was man sich in Desserts vorstellen kann. Hier sollte man sich zu den aktuellen Preisen ein paar Fläschen zur Seite legen. Noch ist der Rum nicht so bekannt wie etwa der Diplomatico Reserva Exclusiva aber wenn der Absatz steigt wird wie so oft die Qualität der Abfüllungen wohl schlechter werden.Oder eben der Preis steigen. In the glass you first smell some alcohol but after a while you get sweet aromas from toffee, vanilla and almonds. The aftertaste is deep sweetness with a little dark chocolate and vanilla. Sikken en fantastisk smag som hænger længe i munden. Der er smagsnoter af vanilje - karamel - chokolade. Den er til den dyre side, men den smager fantastisk godt. Smells and tastes of spice, butterscotch, vanilla, oak, and honey, with a small hint of bourbon. This is truly an exceptional rum, though I wouldn't mind just a tad more sweetness. Near the top of the "9" rating scale. 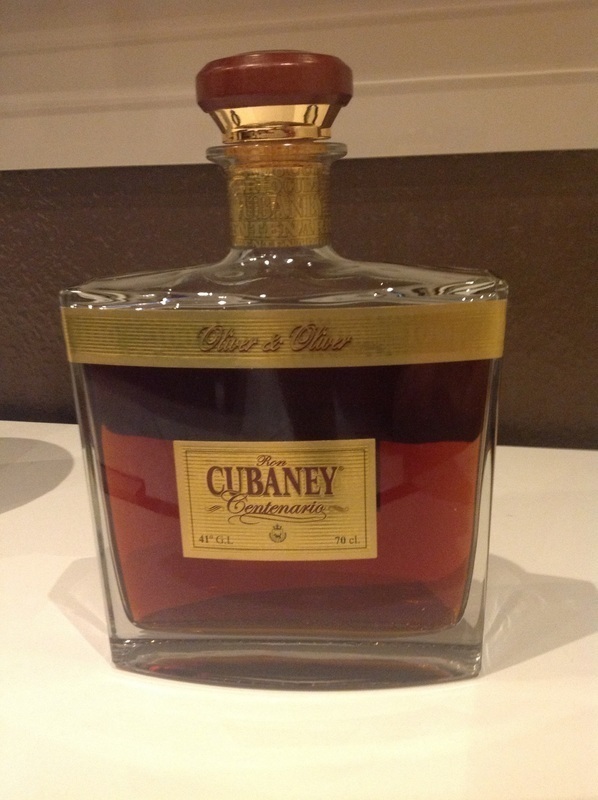 Traditional rum produced by the Oliver family in the Dominican Republic. Top 10 in the world according to the Beverage Tasting Institute of Chicago. Dark rum, toffee and slightly burn with a lot of character! This is a deep and well combined rum with a very long aftertaste! YUM! Will write a more detailed review next time. 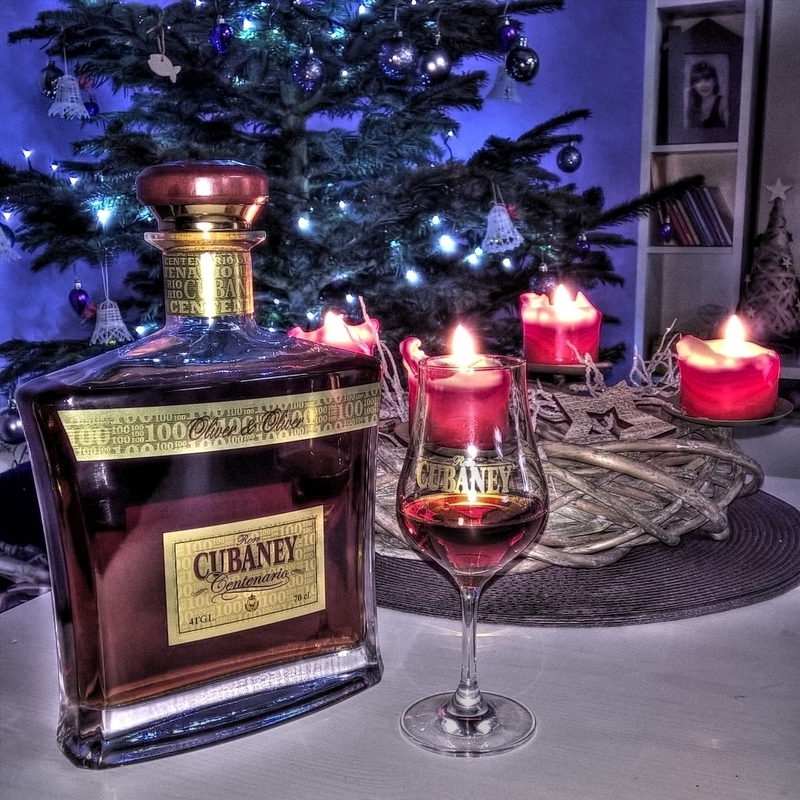 A beautiful dark, golden rum with wonderfull aroma that derserves time and exploration. Your nose is greated by destinct notes of thick toffee, coffee, dried figs, vanilla, oak and something "fresh", perhaps orange. Big fan. The palette is very nice as well with a solid and classic Oliver y Oliver "signature". It's a fairly sweet rum, but with great complexity to even it out and retain a good balance. Notes of molasse, caramel and sweet dried fruits, fades into a slightly dry, floral and oaky finish with a glimpse of nutmeg. Despite the dry, semi spicy finish, it's smoothsness is exceptional. It's a bloody good rum with long aftertaste, but a somewhat steep price. If the value was better, i would consider a 9 rating. Very good rhum and well balanced. I tasted this fantastic rum at the famous Rum Bar in the beautiful Whitsunday Isles in North Queensland..
A bit higher 42% ABV really helps pep this rum up ! So sweet and spicey but in a great way.. leave in the glass for 20 mins then sip away !! Dried fruits , some toffee and maybe almonds ? Very complex and a lovely long aftertaste.. definitely one of the best sipper s I have ever tried. You have to try this at least once in your life.